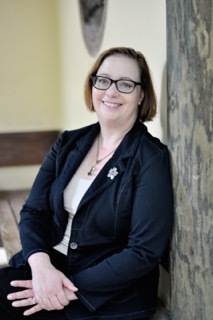 Bio: Elizabeth Hein writes women’s fiction with a bit of an edge. 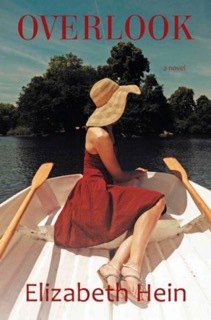 Her novels explore the role of friendship in the lives of adult women and themes of identity. 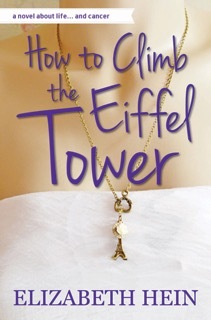 Her novel, How To Climb The Eiffel Tower, examines the redemptive power of friendship in the face of cancer. Overlook, highlights the darker side of suburban life, and Escape Plan (2016) will pick up where Overlook leaves off. Elizabeth Hein grew up in Massachusetts within an extended family of storytellers. Her childhood was filled with excellent food and people loudly talking over each other. In 2002, Elizabeth was diagnosed with cancer, which motivated her to devote her life to parenting her two beautiful daughters and pursue her dream of sharing her stories with the world. She and her husband now live in Durham, North Carolina. Favorite thing about being a writer: I enjoy the creative freedom of being an author. It’s hard work that requires a tremendous amount of discipline, but I still feel exhilarated after a long day of writing. I am thankful that I have the ability to tell the stories I feel are important, using my own unique voice. Biggest challenge as an indie author: Although I find marketing and self-promotion exhausting, people understand advertising. As a hybrid author, my biggest challenge is explaining how independent publishing works. Many readers don’t understand how much publishing has changed in the last decade. There are so many new ways to bring a book to publication that an author can pick and choose the correct route for each book. Now, even if an author is working with a traditional publishing house, they need to understand how the industry works and be prepared take on tasks as necessary. An indie author wears many hats as both writer and publisher, and deserves respect as a professional. Favorite book: I’ve read Jane Eyre at least ten times. When I was kid, I was swept away by Jane and Rochester’s love. As an adult, I appreciate Charlotte Bronte’s social commentary and keen insights. My passion for Jane Eyre led me to moderate a local Bronte Sisters Book Club. Contact Information: Connect with Elizabeth through her blog, Scribbling In The Storage Room, her website, elizabethhein.com, Facebook, her Facebook author page, and Twitter. I am excited to be featured in Book Club Mom’s series on Indie Authors. I urge you to check out some of the other featured authors, as well.